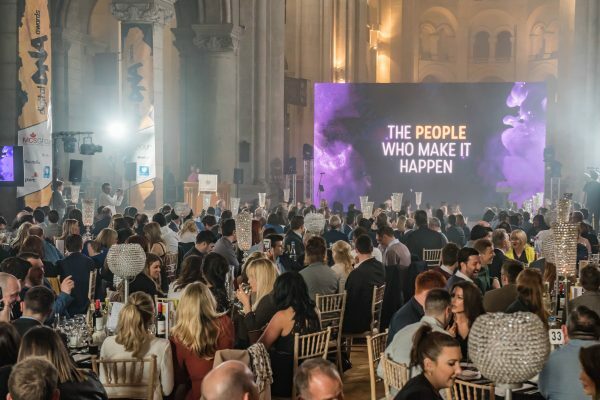 The Digital DNA awards celebrated our diverse range of talent in Northern Ireland across the Digital scene, from E–commerce to Fintech, Media and Digital & Creative. 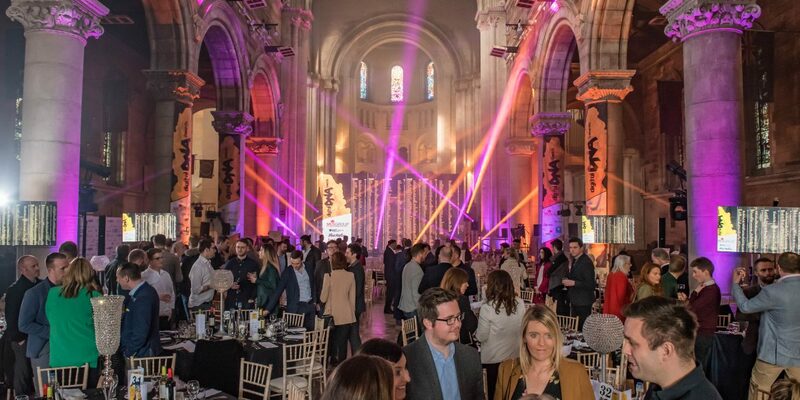 Right here in Belfast we have local companies winning highly innovative international projects and the DNA awards amplify our strong message that Northern Ireland is building a world class, highly skilled and Agile Talent pool. SaltDNA was formed in 2013 by a group of tech entrepreneurs with a shared history in enterprise security, telecoms, network optimisation and mobile application development. While the market is packed with consumer based encryption communication technologies, the founders of SaltDNA recognised that none of these solutions fit well within an enterprise’s operating framework. They have expanded very quickly in a short space of time and they claim their go to market strategy has a massive impact on their growth. Their marketing and implementation strategy has been designed to ensure that both the partners and customers benefit by choosing them over competitors. SaltDNA is a Cybersecurity 500 company based in Belfast, Northern Ireland. They’ve shown extremely high levels of growth and expansion in the past two years, 2016 being record-breaking, by earning their biggest year in sales and deploying our solution across the globe. Spanning across 6 continents, their revenue increased again in 2017 and in closing of this year they were chosen as one of the ’10 Most Trusted Companies in Enterprise Security for 2017′ by Insights Success. Other notible awards and mentions include being notably named in the Cybersecurity 500, ‘Company of the Year for Innovation in Cybersecurity and Data Privacy’ by Ovum as well as picking up ‘Mobile Security Award’ and ‘Data Security Product of the Year Award’ as the Computing security Excellence Awards 2017. Could you be the best small tech company? Apply now for our Best Small Tech Company and find out. Allstate was founded in 1931 in the states, and established in Northern Ireland in 1998 to provide high quality software development services and business solutions in support of its parent company, The Allstate Corporation. Allstate is Northern Ireland’s largest IT Company with over 2,200 employees across three sites in Belfast, L’Derry and Strabane. Allstate is a major centre for innovative software development, covering the full software lifecycle of design, development, maintenance and support. Today, Allstate is reinventing protection to help consumers better prepare for tomorrow and protect what matters most. “We had a team here in Belfast who delivered the project within two weeks and we won £300 Million worth of business. The judges for 2018 were very impressed with Allstate’s partnership with Uber Technologies and the impact that this had on Northern Ireland, increasing revenue to business in the city and by providing exceptional service to an international brand. Importantly for their Northern Ireland teams, this high-profile solution has increased the visibility and recognition of their teams as they continue to deliver internal and external facing products ranging from analytics tools, to APIs to mobile applications. For Allstate, their solution has provided a foundation for success as they strive for and build towards for an ‘API-first’ architecture. This tangible solution has opened up a wealth of opportunities to explore new policy types and revenue streams for transportation network carriers within Allstate. Their solution signifies the exciting role our Northern Ireland based digital teams play to internally disrupt and innovate within our organisation. Apply now for our Digital Project of The Year Category. A pandemic outbreak is the number 1 priority on the UK’s threat list. Nobody knows when the next epidemic will hit, how far it will spread, or how many people will be affected. Prior to the Pandemic App previous studies were conducted, recorded and recruited via analogue methods. Partnering with researchers at the University of Cambridge and the London School of Hygiene and Tropical Medicine, Big Motive created an App that will identify the human networks and behaviours that spread infectious disease. The App anonymously collects vital data on how far users travel over a 24 hour period and who they have come in contact with during this time. This vital (and possibly life saving) data will be used to simulate the spread of a highly infectious disease to see what might happen when – not if – a real pandemic hits the UK. The data collated from the app will help improve public health planning and outbreak control. If you’re feeling inspired, apply now for our App of the Year Category. Got an amazing Digital Marketing Campaign? Apply for one of our other categories.